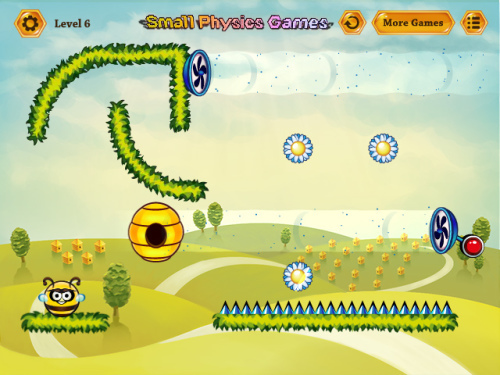 Description Complete 30 various exciting levels and help the bee collect enough honeydew to survive the severe winter. Danger lies before the bee. Be creative and quick-witted to fight through the hardships and lead the bee to its goal. Enjoy! Controls Click to fly, click once again to land.